Working in the machine shop the other day, curiosity got the better of me. I was thinking about how to add fasteners to my printed part, but with a minimal amount of work. Fasteners can be drilled and tapped, Helicoil-ed, or ultrasonically welded into ABS parts. If the thread is large enough, it can even be modeled on the part directly, but what about smaller fasteners? 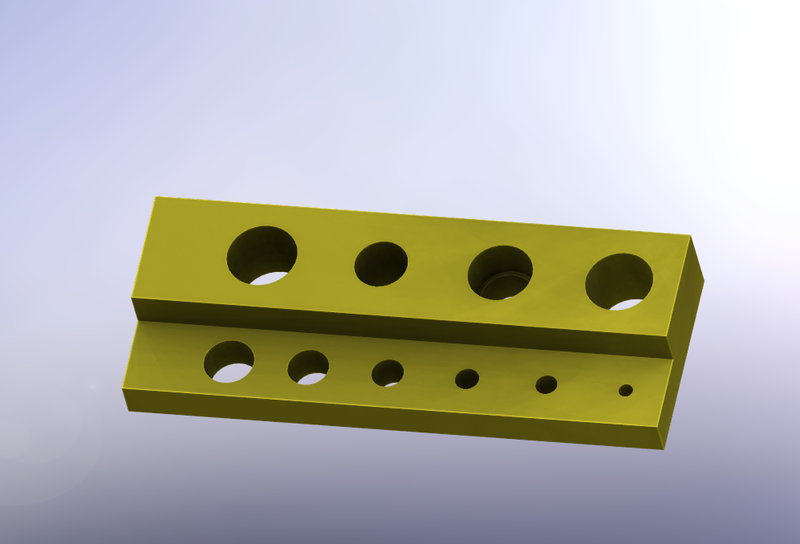 Typically, to create a threaded hole on a 3D printed part, we'd need to add a few operations with the mill or the drill press. First, the part and the hole position would need to be located precisely, straight and true (“tramming and indicating”). Second, three tools need to be used – a center drill for the pilot hole, a tap drill of a specific size, and finally a tap. All these tools need to be used in the exact same location in order to generate an accurate screw thread profile. This is standard operating procedure in the machine shop. However, you're probably using a 3D printer to avoid the machine shop in the first place. You can save a few steps by inserting the tap drill size directly into the 3D print, with impressive results. By printing parts with the tap holes already modeled in, we can save several steps in the process, eliminate the need of using a separate machine and several extra operations. We can hand-tap the precisely located holes. After tapping, the 4-40 thread felt a little loose, indicating an oversize minor diameter. To remedy that, the tap hole can be made slightly undersize. The slop wasn't so dramatic of a concern on the larger threads (the largest here being 1/2-13). Loose fit wasn't a problem at all with the two tapered threads, 1/8-27 NPT and 1/4-18 NPT. 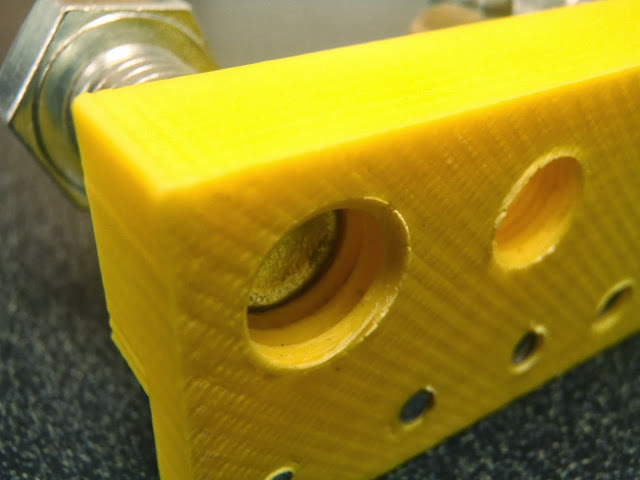 By printing the tap holes directly into the part, we avoid several steps typically needed to insert threads into 3d printed parts, only needing threading. All of these threads were created with a hand tap, and as long as the tap goes in relatively straight, it produces quality threads without all the usual effort. Don't have any taps handy? Well, if your printer can handle the geometry, I suggest using a "captive nut" like so. Measure the size of your fastener, and add a little bit of tolerance to the hole size to accommodate any dimensional error (in this case, I added .005" to the size of this nut, which I believe is #8-32). This allows the nut to slip in and out of the recess, but without any extra slop. You may also want to consider a small interference fit, to make sure that the nut stays put when there's no bolt attached. Be sure to add clearance in the through-hole, as well. Also note the boss surrounding the nut - this is to add strength to the part. For more information on fitment and tolerancing, I HIGHLY suggest you pick up a copy of Machinery's Handbook. If modeled correctly, using a calibrated printer, your results will be impressive.